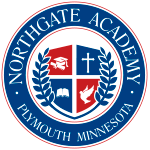 Northgate Academy’s Campus is situated in the Parker’s Lake Community in Plymouth, Minnesota. The school is located 13-miles Northwest of Minneapolis. Our campus is housed in a modern 10,000 ft office complex located just off Highways 55 and the 494 Loop. NGA occupies both levels of our facility and offers a convenient and modern working space overlooking the scenic wilderness that surrounds our campus. Plymouth, Minnesota is nationally recognized for its quality of life and offers extensive parks and trails, picturesque open spaces, strong neighborhoods, and diverse recreation programs. Plymouth has highly regarded school district, a variety of local businesses, a thriving shopping and entertainment district, and easy access to downtown Minneapolis and its wide array of cultural and sports venues. Plymouth is located in the Three Rivers Parks District, a regional public park system that has two parks: Clifton E. French Regional Park and Eagle Lake Regional Park. Clifton E. French Regional Park runs along the North Shore of Medicine Lake. It includes a swimming beach, fishing pier, lighted trails, play area and more. Eagle Lake Regional Park is a 230-acre Regional Park is located on the border of Plymouth and Maple Grove. It features diverse recreational opportunities, including biking, hiking, cross-country skiing, and snowshoeing. The park is also home to the popular Eagle Lake Youth Golf Center. Located in the heart of the City Center, the Plymouth Community Library is a popular destination for people who live and work in our community. The library is operated by Hennepin County. Looking to show your school spirit? Click here or click on the image below to order Northgate Academy Eagles spirit wear.